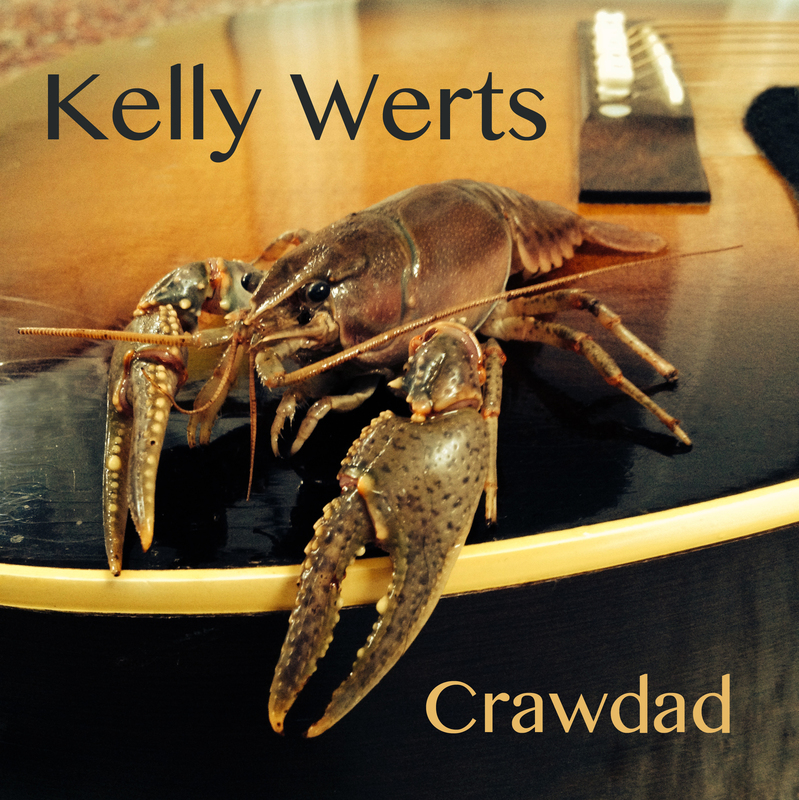 The new CD, “Crawdad”, is now available! This labor of love is a tribute to Kelly’s roots. While Kelly has always enjoyed digging up songs from centuries past, like “Rye Whiskey” and “The Darby Ram”, these are not necessarily the songs that he has known all his life. His strongest roots come from childhood radio favorites like “Ring of Fire” and “King of the Road”. Then there were the records his big brothers played, like “People Are Strange”, by the Doors. These are all songs that spring to life when given basic treatment with guitar and voice – how else is a song going to survive and become part of a lasting tradition? Kelly celebrates the immanent playability of these songs by picking them on his guitar and passing them around among his friends, nine of whom appear on this collection. By mixing songs from earlier traditions with those from his own earliest memories, Kelly blurs the line between traditional and popular music, and celebrates the lasting qualities of fifteen of his favorites.